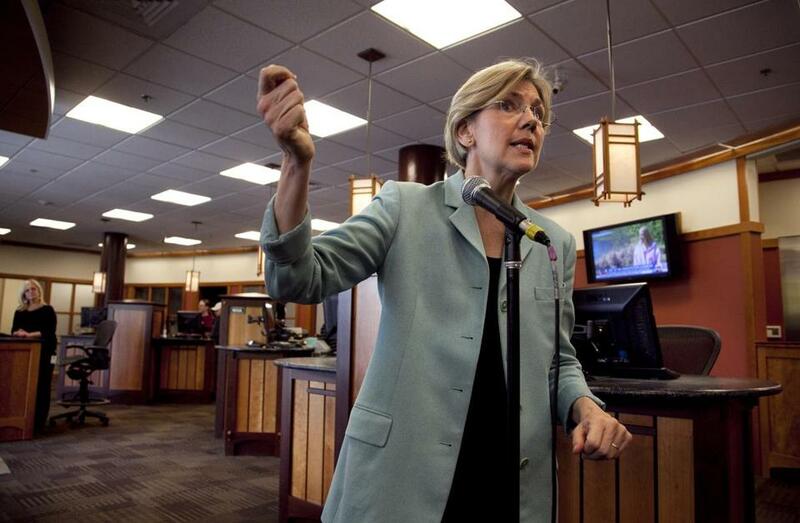 Elizabeth Warren responded to questions from reporters at Liberty Bay Credit Union headquarters in Braintree Wednesday. US Senate candidate Elizabeth Warren said on Wednesday that she listed herself as a minority in directories of law professors in the hopes of networking with other “people like me” — meaning those with Native American roots. But she said she was recruited for her teaching jobs based on her performance, not on her minority status. “Scott Brown’s campaign has been sending emails to reporters asking them to ask if I’m qualified for my job. And all I can say is, I busted my tail as a teacher. I am qualified for my job,” Warren said at an event in Quincy Wednesday afternoon. US Senator Scott Brown had raised the same question about qualifications when US Solicitor General Elena Kagan was nominated for the US Supreme Court, she said. Senator Scott Brown defended his decision to continue insuring one of his daughters through the health care law that he has tried to repeal. At a separate event in Charlestown Wednesday, Brown called for further investigation on the issue. “I think that she needs to answer the questions that are still lingering out there that’s for sure,” Brown said. The back and forth followed last week’s revelations that Warren — an Oklahoma-born professor of bankruptcy law — had been held up as an example of campus diversity by a Harvard Law School spokesman in the 1990s. Last week, Warren said she had no idea that Harvard was touting her as a minority in the 1990s. But two days later, she acknowledged that for years before she joined the faculty at Harvard, she had been classifying herself as a minority professor in a directory of the Association of American Law Schools. That directory included Warren on a list of minority professors from 1986 through 1995. Noah Bierman of the Globe staff contributed to this report. Stephanie Ebbert can be reached at ebbert@globe.com. Follow her on Twitter @stephanieebbert.